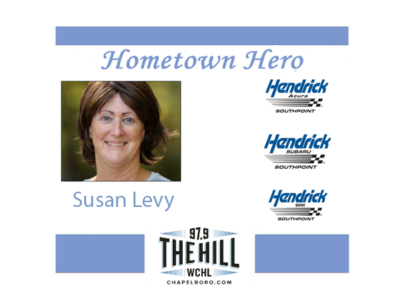 This week’s Hometown Hero, presented by Hendrick Subaru Southpoint, is Susan Levy. Levy was the executive director of Orange County Habitat for Humanity for 26 years and stepped down at the end of last year. Levy said she sometimes got discouraged because, in her words, far too many families and individuals struggle in Orange County to secure the more basic human rights of shelter. But she said that when she talked with habitat owners and volunteers, she felt energized knowing that so many lives had been impact by a positive change.